Dazzle-it Neo Chain – Say Hello To Our New Collection! We have a fabulous new collection to share with you this week! This is our NEO brass chain collection! The colours are black, white, pink, purple, turquoise and lime green. 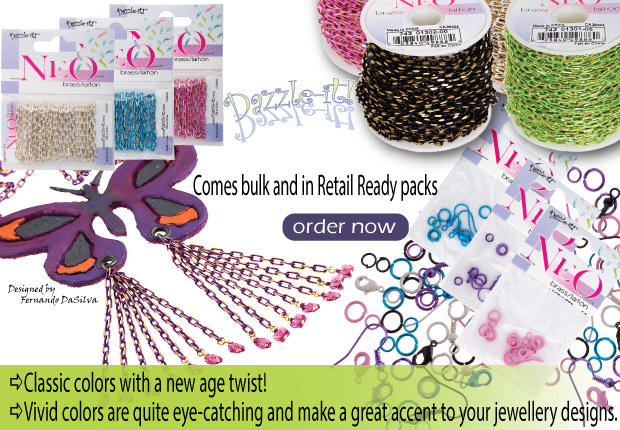 Each colour is available in two sizes and you can purchase the chain on a spool or in retail ready packs. Author Carmi CimicataPosted on January 2, 2014 Categories Neo Chain and FindingsTags Neo ChainLeave a comment on Dazzle-it Neo Chain – Say Hello To Our New Collection!